By Sofia AK in Internet. Updated on November 18, 2017 . Sending large files over the net is no longer a problem and for most of us, Cloud storage is the solution that helps you bypass uploading and downloading times. That said in many cases to do with file sharing, the process is limited by the file size itself. The media that we deal with nowadays are so ‘heavy’ that yes, we one day may have to think about ways to send files that are 1 terrabyte big. Foreseeing this need, SoShare, a site powered by BitTorrent now offers you the option to send files up to 1TB in size. That’s 1024 Gigabytes (so you can skip googling it; you’re welcome). You don’t need an account and it is completely free to use now during its open beta phase. To send your files, just type your email and your sender’s email. You can send the files to multiple recipients, just place a comma in between each email address. Then, click ADD FILES to start uploading the files you want shared. You can add multiple files until you hit the 1TB limit, but of course, the bigger the file is the longer the time it needs for the upload. Upload speeds depend on your Internet connection. However, note that you can pause the download and resume where you left off later. Multiple files will be bundled up so that the recipient can download all the files in a single click. Downloading the file also does not require any extra tools, just click to download. 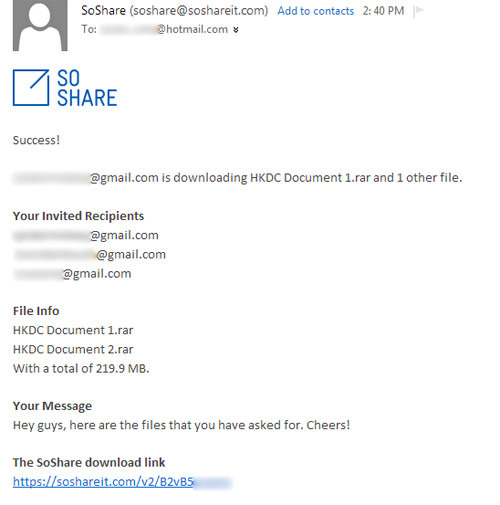 When the recipient starts to download the file, SoShare will notify the sender via email. 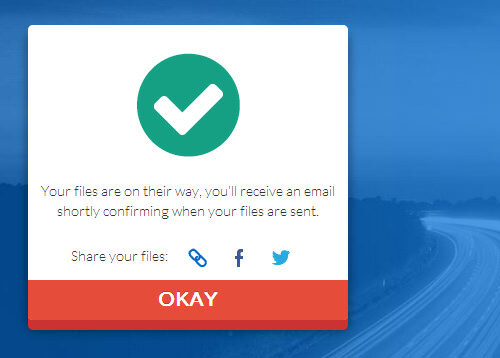 If you sent the files to multiple recipients it will notify you which one of your recipient is downloading the file. With SoShare your files will only be available for download for 30 days (1 TB is a lot) but it is a simple, disposable and great way of sending multiple heavy files in one go. It also has the option for you to make your files available to the public. Do keep in mind that SoShare is still in beta, so there might be more changes brewing behind the scenes. Let us know if you will be using it and what more you are expecting from the service.